Initially, we fulfilled individual orders for translation agencies. This gave us experience and an understanding of the processes used in the translation field. This knowledge allowed us to begin developing software products for translation agencies and freelance translators. This tool was developed in cooperation with our partner Technolex Translation Studio. This success convinced us that we can and should made truly useful tools for the translation industry. 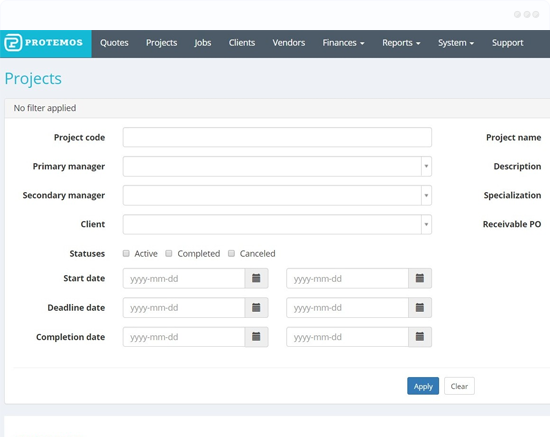 A system designed to manage a translation business. Before we started developing this system we studied the existing market solutions and decided to create the easiest and the most functional system that would require no preliminary training or special knowledge and that would be suitable for both freelance translators and translation agencies. The system operation was tested in the environment of a real translation agency. Now it is available for everybody interested in it. It is very important to us that the system is as simple and useful as possible for you. That's why we really need your feedback and suggestions on how to improve it. 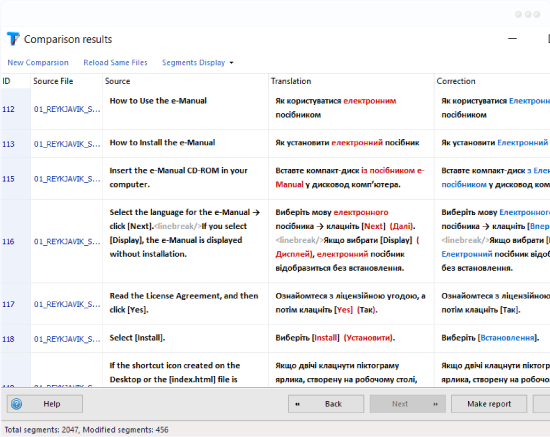 TQAuditor is a system for agencies to assess and monitor translation quality. It resulted from an evolution of the ChangeTracker project. 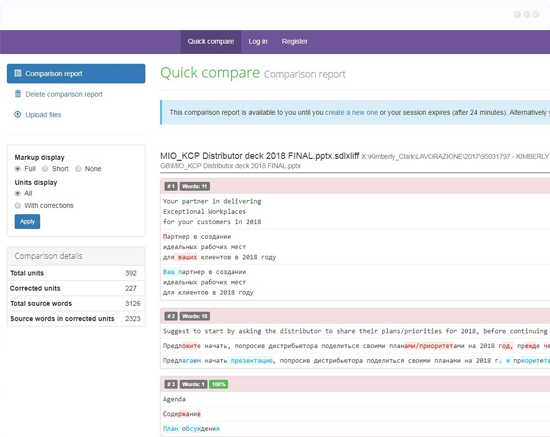 The system lets you compare different versions of translated files, categorize mistakes and indicate their severity, calculate a quality score for each job, facilitate anonymous discussion between translator and proofreader, and generate quality scores, error statistics, and quality trends for each translator. Additionally, we have lots of ideas and are currently working on new products that we hope will be well-received by the translation world.